A 40-year battle over oil drilling in an Arctic wildlife refuge in Alaska could become the latest political irritant in a growing list of disagreements between U.S. President Donald Trump and Prime Minister Justin Trudeau. U.S. plans to lift a decades-old ban on exploring and drilling for oil in the Arctic National Wildlife Refuge are underway, with both the White House and Congress working on regulations and legislation to make it happen. Trump campaigned on getting the U.S. to produce more oil on its own and his sights now are set on the refuge, a protected area in the northeast corner of Alaska which covers an area bigger than New Brunswick. The U.S. Geological Survey suggests as many as 10.4 billion barrels of oil lie beneath the surface, but other than a brief period of exploration in the 1980s, the area has been largely untouched by the oil industry. Vuntut Gwitchin First Nation Chief Bruce Charlie says he plans to reach out to Trudeau in a meeting already scheduled for early November, hoping the prime minister will flex some international political muscle with Trump to keep it that way. "We'll fight to the very end for this," Charlie told The Canadian Press in an interview from his office in Old Crow, Yukon. Charlie called the refuge "the Serengeti of the Arctic," home to breeding grounds for Porcupine caribou as well as waterfowl from several continents, polar bears and wolves. He said seismic testing to locate the oil and the drilling itself, could have devastating impacts on the wildlife including the caribou upon which the Gwitchin people rely for sustenance and culture. "This area is in the extreme Arctic and the environment is so fragile that even [if the exploration is done] in the surrounding area it will make a difference," said Charlie. "Once you disturb that permafrost. then anything can happen for miles and miles." 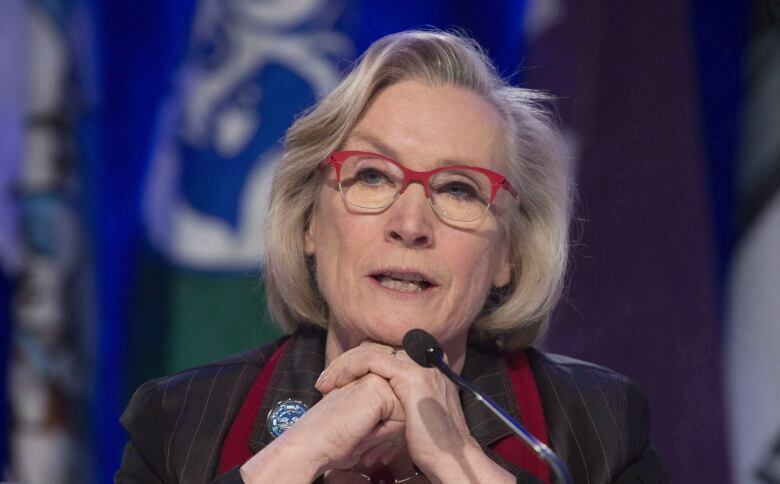 Crown-Indigenous Relations Minister Carolyn Bennett told The Canadian Press on Monday she already spoke about Arctic drilling with Alaska Republican Sen. Lisa Murkowski when she was in Ottawa last winter for a parliamentary delegation on the Arctic. "I think we will continue to raise it," she said. "Caribou in our country is this iconic species that is seriously at risk. We need to carry on that dialogue." Trudeau's office passed questions about the plan to Bennett on Monday and didn't say whether the prime minister was willing to raise the issue with Trump directly at any point. Republicans in the U.S. have tried many times to get oil drilling going in the Alaskan wilderness, but political fallout and events like the Exxon Valdez oil spill in 1989 always stopped it, said Niel Lawrence, Alaska director for the Natural Resources Defense Council. He said it has been 12 years since the last attempt was made by Congress to lift the restrictions on drilling in the Alaskan refuge, but now with the White House and both houses of Congress controlled by Republicans, there is a very real risk this time it will succeed. Trump already eliminated a moratorium on offshore oil drilling in the Arctic that had been imposed by then-president Barack Obama in December 2016, just weeks before Trump was inaugurated. At the same time Trudeau signed a similar moratorium on offshore drilling in Canada, saying the science suggested the risks to the Arctic were too great. There will be a review of that in five years. Next week a day of action is planned in Washington and Charlie said the Vuntut Gwitchin will send two people to explain to members of Congress the position against exploring for oil in the refuge and hope to move some votes. He said right now the Porcupine caribou are extremely healthy, with nearly 200,000 animals in the herd. 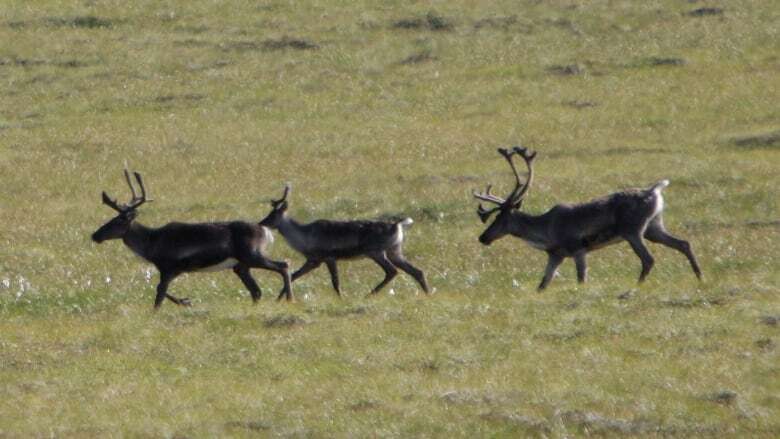 Caribou, however, are notoriously susceptible to environmental changes and anything that would impact their breeding ground could be devastating.